Scorpion Covert and Trey: Threads for your legs. The new Covert Riding Jean from Scorpion will keep you looking stylish without sacrificing comfort or protection. 14 oz denim, coupled with a 165GSM DuPont Kevlar lining covering all those “vital” areas, as well as pockets that accommodate Sas-Tec knee armor will allow you to carve the twisties with confidence without looking like a tool when you step off the bike and into your favorite bar. These jeans keep it classy and “covert” without any excess stitching or pockets that can be dead giveaway that you are wearing a moto jean. 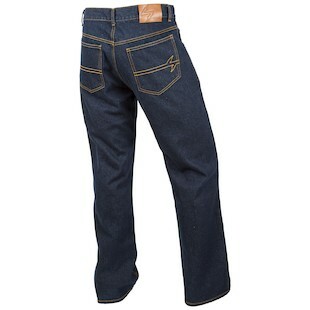 So whether you are commuting to work or just heading out to dinner with your lady friend, the Scorpion Covert jeans have you covered in more ways that the average person will ever know. What do you look for in a riding pant? Mesh panels for warm weather riding? Waterproof yet breathable rain liner? CE rated hip and knee armor? Reflectivity? Well if these are all or just a few of the requirements you look for in a riding pant, look no further. Scorpion’s new Trey Riding Pant is one of those great all around pants that will get you through almost any riding scenario short of a track day. 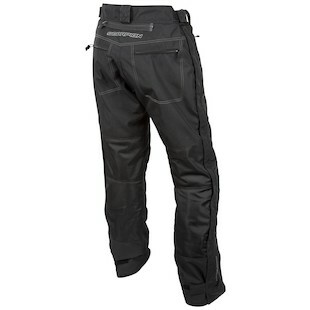 Vented with a removable waterproof rain liner, these pants can be comfortably worn in almost any weather. To make these bad boys even more convenient are the full-length leg zips that make getting in and out of them with boots/shoes on a breeze. Whether you are commuting to work and need a pair of do-it-all riding pants to wear over you khakis or you are out for a multi day touring adventure, the Scorpion Trey Pant will keep you protected from anything the road or mother nature can throw at you.